We thought it’d be fun to review a book (in this case Fat Planet) and highlight the kinds of things we noticed that perhaps most readers are not aware of. Before we get started, just bear in mind that this is not a full, exhaustive, comprehensive analysis. Instead, we’d like to share some pointers so when you do read a diet or health book you keep them in mind. 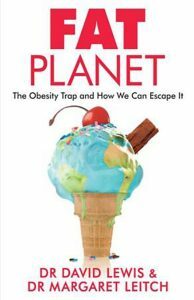 The Book: Fat Planet: The Obesity Trap and How We Can Escape It. The Authors: Dr David Lewis, a neuropsychologist who specialises in exploring the subconscious influences on behaviour, and Dr Margaret Leitch, an expert on the psychobiological basis for overeating behaviour. This book takes a holistic view of obesity – from biology to food marketing and everything in between. If you are looking for a book which tells you what not to eat, this is not the book for you. This is a genuine overview of one of the greatest public health crises of the last 30 years in the Western world. Lewis and Leitch explore the complexity of obesity, investigating the psychological and social implications, the role of biology and the brain, and the influence of our environment. With nearly 2 billion of the planet’s population overweight, how do the slim stay slim? As well as both Lewis and Leitch having PhDs in Experimental Psychology, they consulted with experts in the fields of neurobiology, fat physiology, microbiology, and food policy. Because of their vast research writing this book, they are able to back up their claims with a hefty 39 pages of references. The references are a mix of peer-reviewed research, smaller experiments set up for the popular TV show ‘Secret Eaters’, which Lewis worked on as psychological consultant, and links to useful resources. 3. Fashions in fat: the authors state how being fat “has increasingly fallen out of favour across the developed world.” Fat Planet gives an interesting historic overview of how society has shifted from excess weight and gluttony being viewed as signs of beauty and prosperity, to now being undesirable. Fat Planet starts in a wonderfully novel way, with Dr Margaret Leitch going about her daily activities wearing a fat suit taking her from being an active, healthy-weight person, to an obese individual finding it a challenge to tie her shoelaces. Interestingly, it seems it shouldn’t be assumed that only slim individuals see those who are overweight as gluttonous or lazy. If individuals aren’t entirely responsible for being obese, then who or what is? The authors of Fat Planet discuss the influence of the obesogenic environment, in particular food cues priming us to eat. “Food cues are all around us,” say the authors. During TV commercials (or cooking shows!). In magazines. On advertising hoardings and billboards. On streets lined with cafés, bars, restaurants, and 24-hour fast-food outlets. There is no shortage of encouragement, or opportunity, to eat. 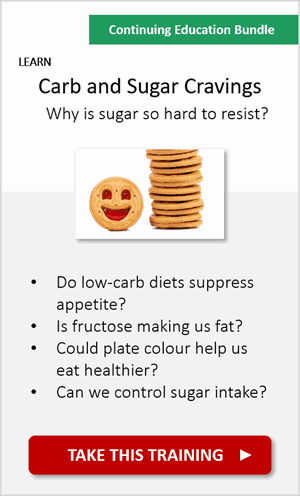 We are primed with food cues almost continually, most of which encourage consumption of high fat, sugary foods. Can you remember the last time you saw a TV advert for a delicious, mouth-watering… carrot? Almost everyone that goes outside, watches TV, or uses a computer, is exposed to these cues, but not everyone is overweight. So do normal weight and obese brains respond differently to food cues? In studies using fMRI, researchers found that all participants showed greater brain activation when shown appetising pictures of food. However, it is important to note that activation differed between normal and overweight participants. Activation to both bland and appealing foods was greater in the obese group. This suggests that obese individuals’ brains might generate signals that promote eating, even when the body does not require energy. 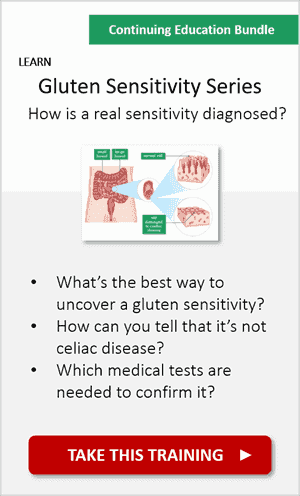 The authors propose that this hypersensitivity to food cues could be why some people can eat and eat and never really feel satisfied. (Note: Do you regularly feel “full yet hungry”? 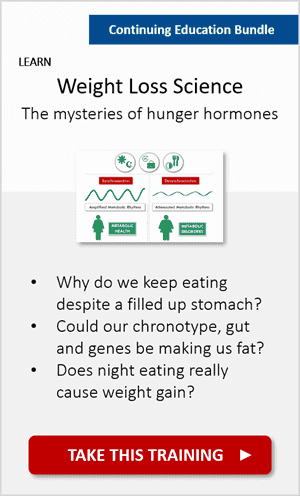 Learn about your appetite neurochemistry here). As part of their review of the biological causes of obesity, Lewis and Leitch discuss the role of gut microbiota. Human intestines are reported to contain at least 1 kilogram of bacteria, making this one area that cannot be overlooked. Our gut microbiota play an important role in metabolism, unlocking essential vitamins, short-chain fatty acids, and digestive enzymes that we wouldn’t otherwise benefit from. Without these vast array of bacteria, we would have several deficiencies and possibly “the development of excess fat,” the authors write. Diet can adversely affect our gut bacteria, with some studies showing that switching to a diet high in fat and sugar can alter microbiota in as little as one day. These altered patterns of gut microbiota are often seen in obese individuals. Could it be that our high-fat diets are ‘reprogramming’ our metabolic systems to store even more fat? Or could something greater outside of our control be affecting our microbiota? In particular, Fat Planet highlights that ghrelin (a hormone responsible for turning on hunger) “interacts with a particular bacterium found in the gut called Helicobacter pylori; eradicating these bacteria from the gut causes metabolic disturbances.” Therefore, extensive use of antibiotics in medical practice, as well as in the food chain, could also be having an impact on our waistlines. 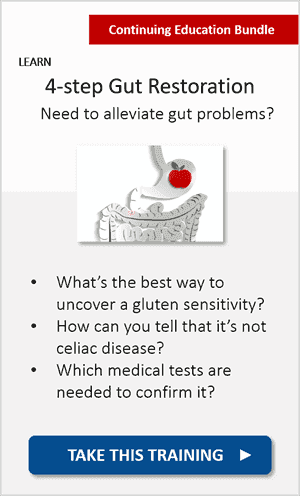 (Note: Are your genes, gut microbiome and weight connected? Learn about it here). Fat Planet does have an extensive section on obesogenic environments, particularly around food availability and food cues. But one area it does seem to neglect is socioeconomic status and geographic location. It was once considered that living in densely populated areas affected access to fresh, healthy food (known as “food deserts”), although findings do not consistently support this correlation. 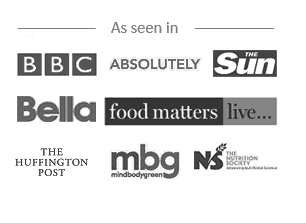 However, access to healthy, nutritious foods must be a consideration when mapping confounders of obesity. In addition, living in deprived urban areas can be a barrier to individuals having an active lifestyle, as it may not be safe for children play outside and walk or cycle to school, which has been shown to reduce adiposity in children. More recent research, published in Maternal and Child Health Journal in May 2016, reported that excessive maternal weight gain and blood glucose levels can increase childhood obesity risk, even in infants with normal birth weight. The final section of Fat Planet considers how individuals and society should tackle obesity. Despite discussions throughout the book on the multifactorial causes of obesity, when it comes to losing weight, the authors insist that a negative energy balance is key. This is highlighted by Professor Mark Haub’s experiment. For 10 weeks, he reduced his energy intake by 1,000 calories per day and lost 27 pounds (12 kilograms). No surprise there, I hear you say. But, Haub’s diet solely consisted of junk food and multivitamins – a diet which, he argues, represents the modern-day Western diet. Fat Planet used this example to demonstrate the thermodynamic equation of losing weight – i.e. less calories in, more calories out. Although it should be noted that Lewis and Leitch aren’t in any way recommending this diet! Even if low-calorie, living off junk food can be extremely detrimental to your health. 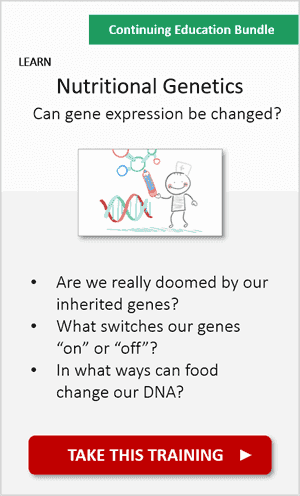 Remember how a few days ago we talked about the negative epigenetic changes from high-fructose diets (see here). After a brief overview on macronutrients, and why eliminating one in favour of another is not a long-term sustainable solution, Fat Planet proposes simple changes which could have you on your way to sustained weight loss. But be prepared. Whilst there are some interesting points, it is a list that any ‘serial dieter’ will be familiar with: portion control, pause points, not shopping when hungry, being aware of ‘fat-free’, and so on. Given most people are unaware how many calories are in any given portion (partly due to labelling inconsistencies, and partly because most consumers don’t read labels), it does seem unachievable to expect the general public to know how many calories and grams of fibre are in each cashew nut. 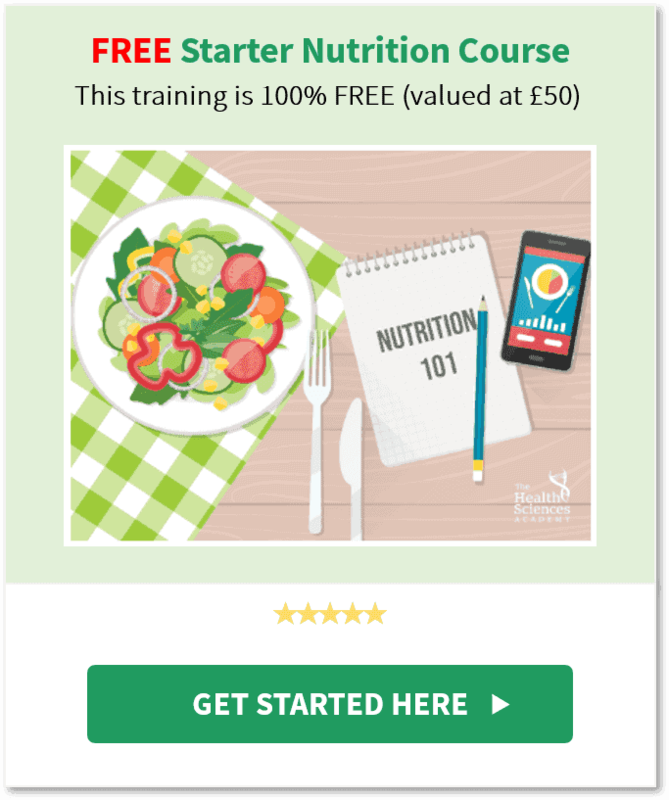 (Note: If you or your loved ones are unfamiliar with calories and labelling, our Free Nutrition Course is a good place to start). Another strategy recommended in Fat Planet is consuming a high-protein breakfast, “because skipping breakfast increases the desire to snack, it is strongly associated with overeating, weight gain and obesity”, and an increase in snacking on calorie-dense foods. It feels like the authors go with the traditional advice here, rather than reviewing the latest evidence on its whole. As an example, contrary to the book’s recommendation, Northumbria University researchers found that those who exercised on an empty stomach burned up to 20% more fat compared to breakfast-eaters, had a smaller appetite later in the day, and did not consume more calories to compensate for their missed breakfast. More importantly, there is an ongoing debate about the major flaws in the reporting of findings from observational studies that correlate breakfast-skipping with obesity. Perhaps breakfast consumption should be left as an individual preference, rather than the standard advice to consume “breakfast for weight loss.” You can read more about the breakfast dilemma here. Yes, read! Just keep in mind, should we continue talking about what causes individuals to become obese, or is it time to start focusing on what enables healthy-weight people to remain in their healthy weight when faced with the same obesogenic challenges? I am not sure the authors were ever really able to pinpoint why slim people are able to stay slim – if they could, I’m sure they would have more than one award coming their way. Overall, Fat Planet is an informative and entertaining book, written in a very accessible style which can be enjoyed by those with or without a science degree. Have you noticed anything unusual?.. Well, if you’ve been following our reviews, it’s the first time we rate a book 4 out of 5! (Hint: Fat Planet is a good one). 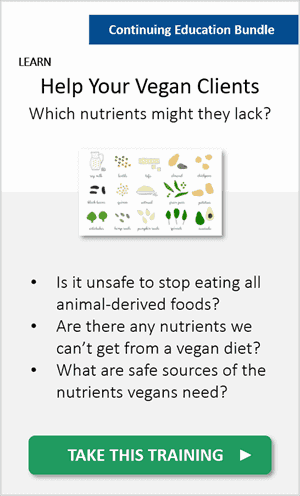 Veganism 101: Which Nutrients Might Vegans Lack? 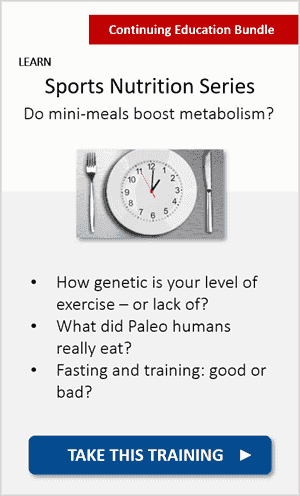 Chronobesity 101: Is Your Chronotype Making You Fat?